I am a fan of Michael Jackson. He had an amazing high energy voice and recorded some exiting songs, that are on my all time favourite list. But something went bad when he started pursuing success in stead of trying to make great music. I have little or no interest in his private life, but I do wish he finds his soul again and makes a succesful come back. But I don’t think it is very likely that this will happen. 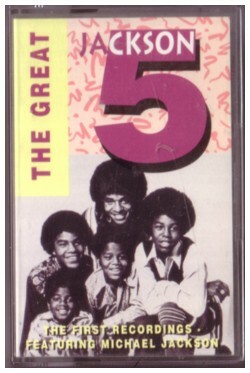 Many years ago I bought a cassette tape with 11 early demo recordings of The Jackson Five, made in between 1965 to 1967. Later I also found a CD of the same material, with two extra demos, that were not on the cassette. 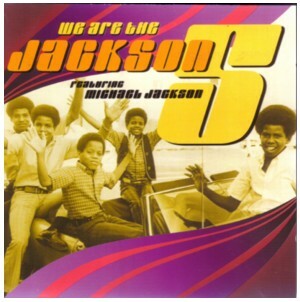 Not that I listen very often to all of this: even for a Michael Jackson fan this stuff is extremely hard fun. 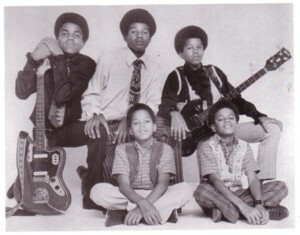 Not only do these early recordings not show any trace of the magic that The Jackson Five would display a few years later, the demos are also mutilated by some extremely untalented producer. The way the extra instruments are mixed in doesn’t only hurt my ears, but also my heart. I wish that MashUpTown would make a project of these demo’s, so that this whole history can be rewritten. I mean, you don’t want to hear things like this, don’t you?! (I like the idea that the past is constantly rewritten. Some people see reasons to think that this is how Time works. We are taught in school that a record or a book is the same every time we use it, but what if things change all the time? The reason that we don’t notice that the past is changing, is that our mind is made of the very same stuff as reality, so with every change in the past, our memories change too. But sometimes I notice that there is something wrong, that something has changed. Music for example. I remember that I loved the extreme joy that radiated from Michael Jackson, both in his voice and in his appearance. That joy is long gone from the present Michael, but I can’t help thinking it is also fading away from the past Michael, as he is recorded. I don’t agree with your time-changing theory or change-timing theory as you wish. Recordings don’t change, the listener’s ears pick up a different sound. It’s like listening to something with new ears or – changed – ears. Your ears have been hearing much more other music of Michael, including the downfall of his recordings. You are influenced by what he has been doing later in life so now you think you hear a different voice in his earlier recordings. It’s got nothing to do with him really, it’s you who has changed, you’re older!